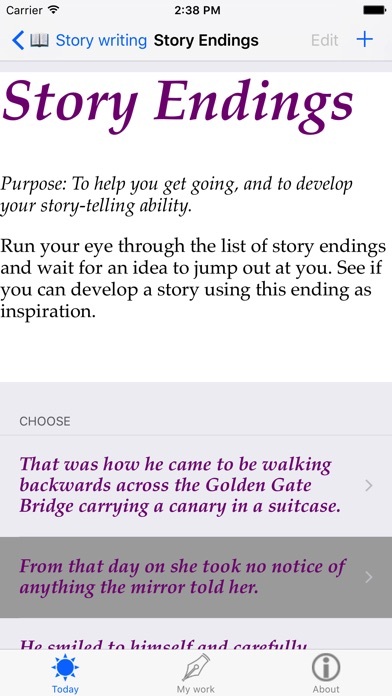 I wasn't looking for a novel-writing app so I almost didn't buy this. I'm so glad I did. It is helpful for any kind of writing. It makes you think and gets you going. 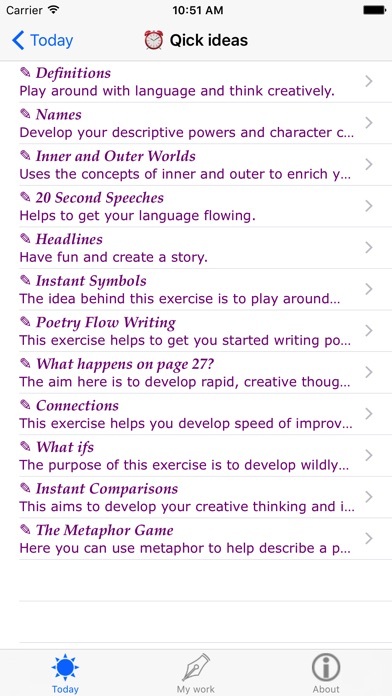 It is helpful with sentences, poems, dialogue, story, whatever you need with lots of prompts, and ideas. I believe it will be helpful for anyone at any level that is looking for help with writing. I love it! 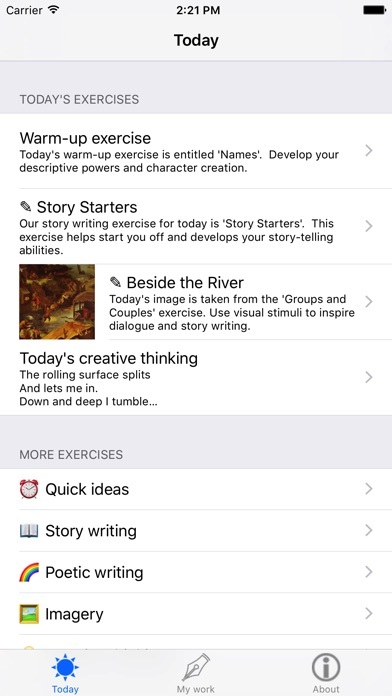 Interesting array of writing ideas but app feels very limited. 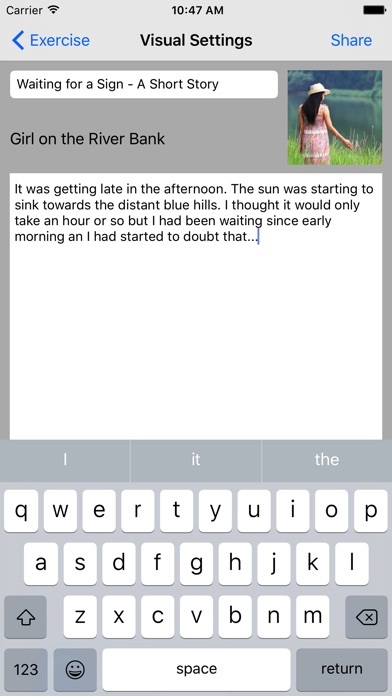 Couldn't see what I was writing because onscreen keyboard blocks what you write the further down you go. I also lost the first thing I wrote because it didn't save. I'd find something better as I felt like this was a waste. This app has really helped me to get creative. It's motivating. It's fun. Some of the prompts could be used repeatedly with different results. Some may be kind of limited for re use, but they are fun to work with at least once. I would like it even more if it were easier to access and use your writings. 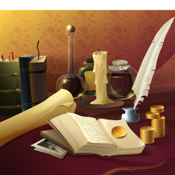 Right now, writings can be viewed in a list or emailed one at a time to be accessed through a word processor. It would be nice to be able to organize writings into groups or to stitch them together into projects without having to email them first.